Password Reset Server logs CEF formatted events to Security Information and Event Management (SIEM) platforms that support Syslog formats. These events can be correlated on the SIEM side so administrators can be alerted when specific events occur on the system. When an administrator sets up a filter for events, such as a user failing the reset, or role permissions changes, the events are logged with different alert levels depending on their severity. 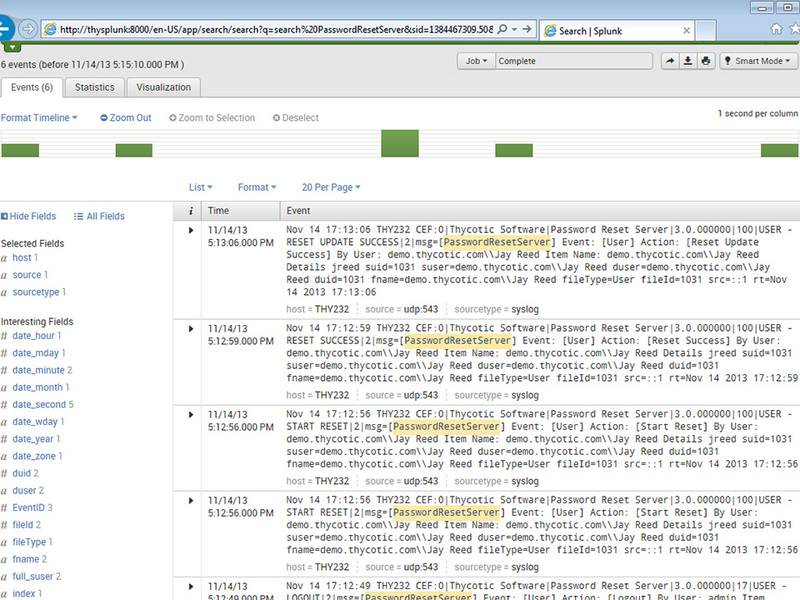 ArcSight, Splunk, and LogLogic are some of the SIEM and Log Management tools that work with Password Reset Server. Most SIEM and Log Management tools support Syslog format and are therefore compatible with Password Reset Server.